It’s a Good Song to Dance to…. From those days to these, a hot beat is still a critical component of a hit. Brit rockers The Fixx bridged the worlds of rock and dance pop in 1983 with their most successful single “One Thing Leads To Another,” which was driven by an unrelenting beat similar to the one heard currently on “Worst Nites,” the newest single by Los Angeles Alt band Foster The People. 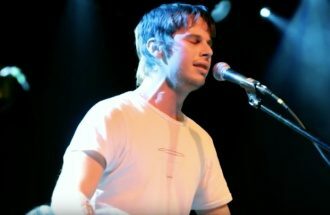 Even though lead singer Mark Foster is a seasoned pro at writing hook filled tunes with clever, insightful and in some cases, topical, lyrics, and even though both “One Thing Leads To Another” and “Worst Nites” have a story-line, their sound is why you’ll want to listen. Foster the People’s last hit, “Sit Next To Me” (BoomerMusicUpdate 2/12/18),got traction in the Alt world and then crossed over to Adult Top 40. We expect “Worst Nites,” which is currently in the top 15 on the Alterntive chart, to do the same. P.S. The video is weird and gruesome.